The Minister of State of Railways, Rajen Gohain held a review meeting with senior officials including General Managers of both NF Railway and NF Railway Constructions Organizations at Maligaon today. In the meeting he was apprised by General Manager, NF Railway Construction organisation that Bogibeel Bridge would be completed in all respect by 31st October 2018. The Minister also took stock of performances in of NF Railway in terms of progress of various constructions projects and other parameters and discussed Punctuality, Cleanliness, Passenger Amenities, Provision of Toilets, Lifts and Escalators, Elimination of Un-manned Level Crossings and Security among other issues. 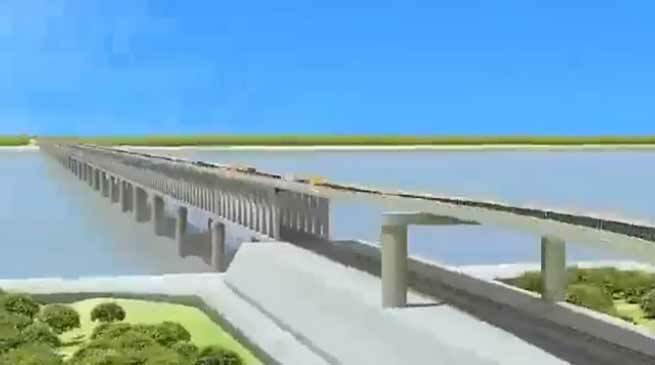 The Minister was apprised that almost all works of the Bogibeel bridge has been progressing as planned and the bridge will be ready in all respect by October this year. The Minister also reviewed the progress of construction of Pit Lines at Silghat station, which is essential for starting train services to and from Silghat. He instructed concerned officials to expedite the work so that passenger services can be started at an early date. He was also apprised that punctuality of Mail / Express trains has steadily increased from 58.53% in January 2018 to 83.41% up to 26th August 2018. During the period the number of trains that had failed to run on time has decreased from 1019 to 448 and most of the delays were less than 60 minutes. While in January 2018, 677 trains ran with more than 60 minutes delays, the number has decreased to 280 in current months. The Minister, while appreciating the impressive performance, also stressed on targeting at least 90% punctuality. The Minister was informed that out of the 674 stations in NF Railway (including Halt Stations), 420 stations have already been brought under cleanliness programmes and the rest would be covered soon.